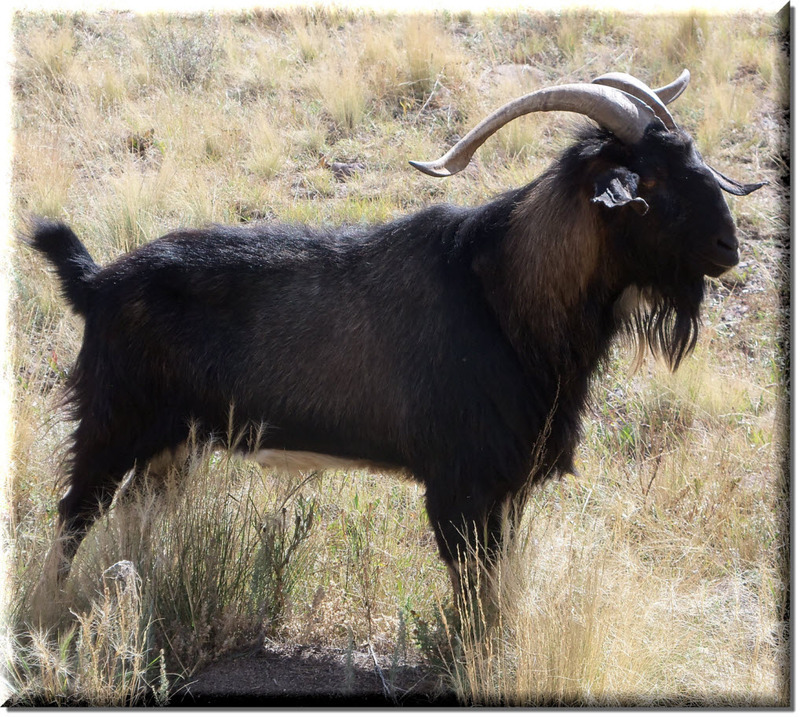 Myron the goat arrived from Elbert, CO in August 2014. He is an older buck, and has promised to help us with our weeds in the pasture. He is 1/2 Nubian, 1/4 Alpine, and 1/4 Oberhasli. His favorite pastimes are: scraping his horns along the fence to make music, butting things with his head, and escaping the corral to come visit us at the house. His favorite word is "Merrrrrrrrrr". He's a sweetheart -- a very stinky one. And he loves his girlfriend, Miss Mona.